Dart Central Station — LT Leon Associates Inc. This project was a collaborative effort between the Owner, architect, LT Leon, mechanical, electrical, and structural engineer, landscape architect, environmental consultant, geotechnical engineer, and others. 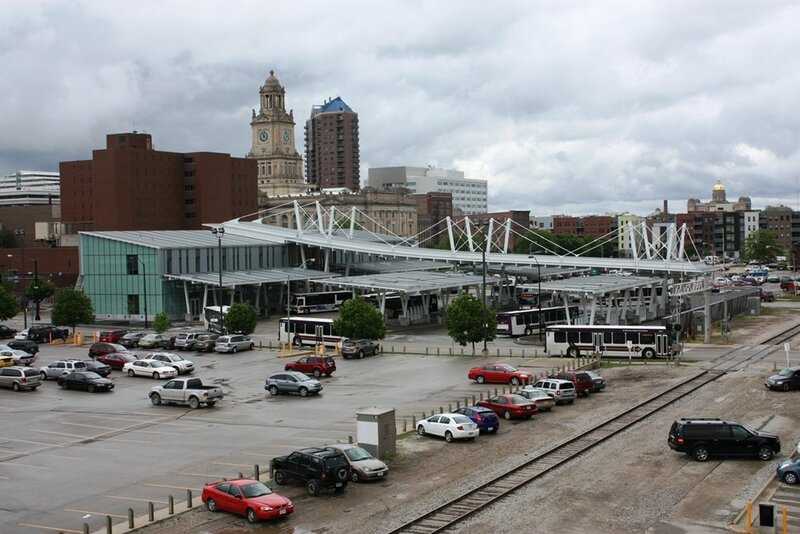 The design team conceived a plan for an efficient, safe, and sustainable bus transit facility. The facility consists of a 22,000 sq. ft. building, transit drives and platforms, transit canopies, and a small employee parking area. This project received LEED Platinum certification. LT Leon served as civil engineer and was responsible for site utility design, sustainable storm water management, SWPPP, NPDES permitting, LEED submittals for Water Quantity and Quality credits, and construction administration. 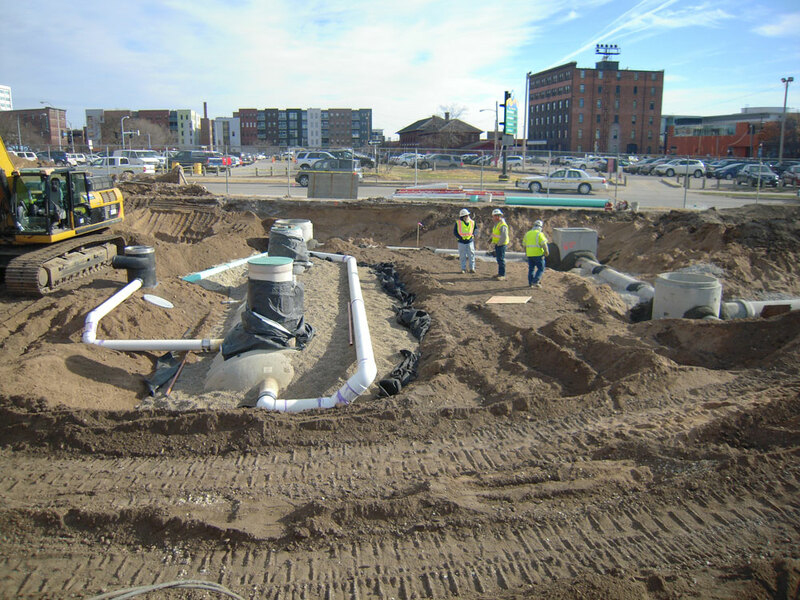 LT Leon incorporated sustainable stormwater management practices into this project to meet the Owner’s goals, City of Des Moines MS4 permit requirements, LEED requirements, and to manage the anticipated contaminated runoff and spill potential from constant bus traffic. The systems included a rainwater harvesting system, an underground precast concrete water quality pretreatment system, and an underground infiltration system. The rainwater harvesting system will capture rainwater from the building roof and canopy, store it in an underground cistern, and reuse it for flushing toilets and yard wash water. The drainage system was designed such that runoff from the bus lanes can be contained on site during a spill event or during a cleaning. Spilled fuels, dirty wash water, sediment, and surfactants can be collected, removed from the site, and disposed of legally off-site.